I am one of the generation who grew up in the 60’s and 70’s. Free love that was never really free. 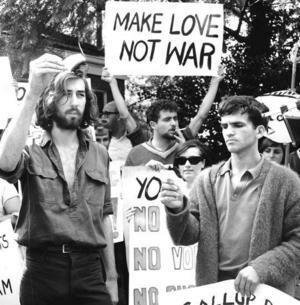 An anti-war generation that rallied for peace while fighting an internal war by escaping down psychedelic rabbit holes. There is so much that my generation can pass on, and we certainly do try, don’t we? We love talking about how simple life was back then. How different, how much better things were. But this morning I was struck by Psalm 145:4, and I realized that we spend far too much time commending memories that are evidently being remembered through rose colored glasses. Because frankly, many of us who grew up in that era were just messed up. So here’s the deal. I don’t care if you know that I drank freely from the water hose, and played outside until the streetlights came on. It won’t help you to know that we slept in painted cribs, rode around without seat belts or airbags, or that kids failed entire grades in school because they deserved to fail. I don’t care if you ever know what life was like “back in my day”. God…relentlessly pursued my heart down every rabbit hole, every dark corridor, through every bad choice. He never gave up. He chased me until I was finally broken enough to stop running. Because I am not just a face in the crowd to Him. I am not just an unseen part of “so loved the world”. And neither are you. You are not only loved, you are wanted by the Father who created you. He is the relentless pursuer of your running heart. God…healed me on the inside. In the unseen places where I was incurably broken, He healed me. I was convinced I had little or no worth. He healed me. I was hurt and I was angry. He healed me. I had been used and discarded. He healed me. Because that’s who He is. Healer. 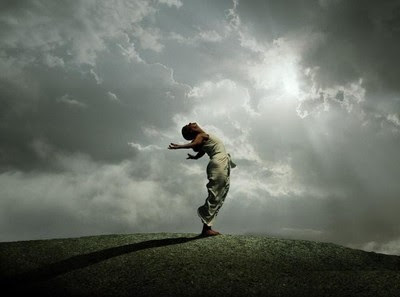 He desires to heal the deep places in you, to convince your heart that you are worth much. Are you going here and there and everywhere trying to find what can put you back together? Are you convinced that nothing will be able to fix what is broken? I commend to you…God. You are not so broken that He cannot make you whole. It’s not too late, you haven’t gone too far, and there is no such thing as too damaged. For man, yes, but not for God. Not for your Healer. God…gave me purpose. After years of wandering, looking for something I couldn’t define, I was left convinced that there was very little real purpose to my life. I would live and die and neither would have any impact on the earth. But as all of that began to fall away under the love of Jesus, it revealed the truth. I was created on purpose, with purpose, by my Father. My life matters, and so does yours. In knitting you together in your mother’s womb, He wove in the uniqueness that is you, the gift of you. You have giftings, talents that you may or may not be aware exist, but they are there on purpose. And the work of God, the advancement of His Kingdom, the release of captives, the healing of broken people, all of it needs you and your gifting. He has people for you to meet, places for you to go, things for you to do. You, and your life matter. You are you on purpose, with purpose. God…saved me. I could comprehend that God is good, even loving. But the heart-shocking truth is that He is so good and so loving He sent the innocent to pay for my guilt, giving His Son over to death so that death could be conquered for me. So that the slate that held my record of sins would be forever destroyed, my filthy clothes would be forever removed, so that my forever would be forever changed. God pursued me straight to Golgotha, and there I discovered just how much I was worth to my Father. You are worth no less. To the generation coming behind me, I commend to you the works of God. Powerful, majestic, fearsome. Kind, loving, merciful. Faithful and unfailing. Pursuer of hearts, Healer of broken, rest for weary. Savior. I drank from a garden hose. He loves you so much He died.